Many thanks for Saxon Henry, the Chair Chick, for alerting me to this yesterday on Twitter. 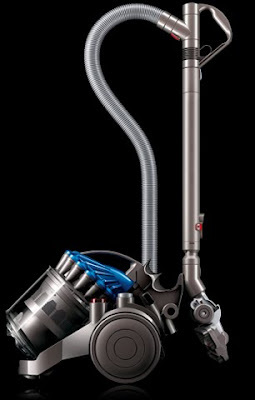 James Dyson makes spectacular vacuum cleaners. He's also an inventor, industrial engineer, industrial designer, a Knight of The Most Noble Order of the Garter and a philanthropist. Each year more than 60,000 fires occur in UK dwellings, resulting in approximately 450 deaths and more than 11,000 injuries. Automist is an automatic fire suppression system. It is designed for the kitchen, where 60% of domestic fires originate. Automist utilises “water-mist” which is a proven technology on ships and in factories. Water mist technology works well on both chip pan and electrical fires. The novelty of Automist lies in its modular design which means it is easy to retrofit. The stylish nozzle can be positioned underneath any standard sink tap, and is designed to blend in with your kitchen environment. In the event of afire, a wireless heat detector triggers an under-sink pump. Heat detection is the most reliable form of fire detection and the trigger is set at the industry-standard. The pump then drives mains water through the unique nozzle unit which quickly fills the kitchen volume with fog, creating an inert atmosphere of 30% water and suppressing the blaze. That is a great idea - the Automist. I wonder if the "smart" heat sensor also makes a noise to alert people in the house that a fire has occurred. I would hate to have to park a fire alarm next to a "smart" heat sensor. I can't resist my second comment - I wonder if Mycobacterium avium could be found in the mist! I suppose it would work in concert with some kind of an alert system. I'd think having M. avium in the mist would be a good thing. It does kill H1N1 after all. Hah!